Thursday (tonight): Piilani Arias. Friday: Kapali Keahi. Thursday (today): Tim Osbourne, 3 p.m.; Garrett Probst and Keali’i Lum, 6 p.m. Friday: Garrett Probst, 3 p.m.; Damon Parrillo and Tim Osbourne, 6 p.m. Saturday: Keali’i Lum, 3 p.m.; Damon Parrillo and Ron Hetten Oversize Productions, 6 p.m. Sunday: Keali’i Lum, 3 p.m.; Damien Awai, 6 p.m. Monday: Keali’i Lum, 3 p.m.; Danyel Alana and guest, 6 p.m. Tuesday: Garret Probst, 3 p.m.; Roy Kato and guest, 6 p.m. Wednesday: Garret Probst, 3 p.m.; Malanai, 6 p.m.
Thursday (today): Keali’i Lum, 2 p.m.; Damon Parillo and Jack Stone, 6 p.m. Friday: Derick Sebastian, 11 a.m.; Hula shows, 2 to 5 p.m.; Kawika Lum Ho and Roy Kato , 6 p.m. Saturday: Kawika Lum Ho, 2 p.m.; Danyel Alana and friends, 6 p.m. Sunday: Josh Lum, 2 p.m.; Lahui, 6 p.m. Tuesday: Kawika Lum Ho, 2 p.m.; Wili Pohaku, 6 p.m. Wednesday: Danyel Alana, 2 p.m.; Ernest Pua’a, Roy Kato and Kamuela Hamakua, 6 p.m.
Thursday (today): Deason Baybayan. Friday: Jimi Canha. Saturday: Kawika Ortiz. Sunday: Deason Baybayan. Monday: Brian Santana. Tuesday and Wednesday: Kanoa Kukaua. 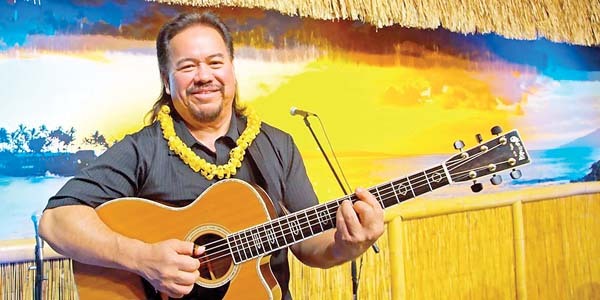 Music from 5:30 to 7:30 p.m.
Thursday (tonight): Ma’a, 6:30 p.m. Friday: Willie K, 9 p.m., $5 cover. 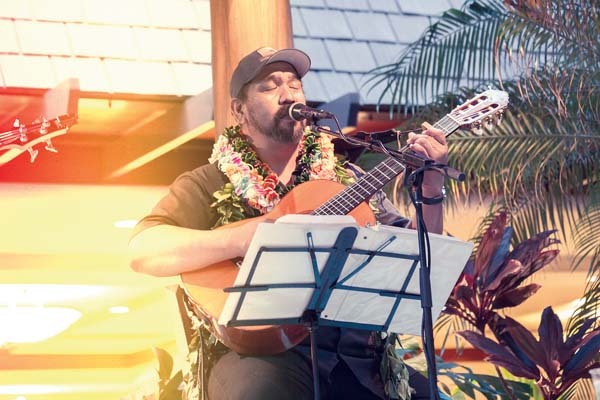 Saturday: Ma’a, 6:30 p.m. Sunday and Monday: Benny Uyetake and Rock Hendricks, 6 p.m. Tuesday and Wednesday: Sam Ahia, 6:30 p.m.
Point Lounge 3 to 5 p.m.: Thursday (today) and Tuesday: Will Hartzog from Jasmine Rice. Friday, Sunday and Wednesday: Peter DeAquino. Saturday: TBD Monday: David Wolf. Dining Room 5:30 to 8:30 p.m.: Thursday through Saturday and Wednesday: Ranga Pae. Sunday and Monday: David Wolf. Tuesday: The Benoits. Sunday brunch with Ben Deleon, 10 a.m. to 1 p.m.
Thursday (today): Garrett Probst; Damien Awai; Tori Dixon Duo. Friday: Elua; The Shockaz; Peter D. Saturday: Garrett Probst; TBD; Ben Deleon. 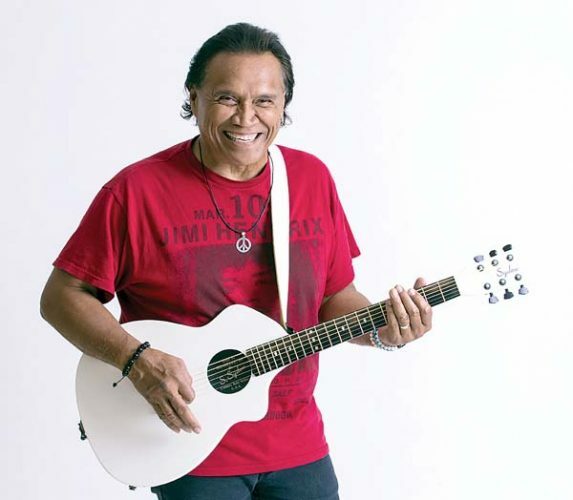 Sunday: Damien Awai; Marvin Tevaga; Ohana Groove. Monday: Josh Kahula; Stay EZ; Marvin Tevaga. 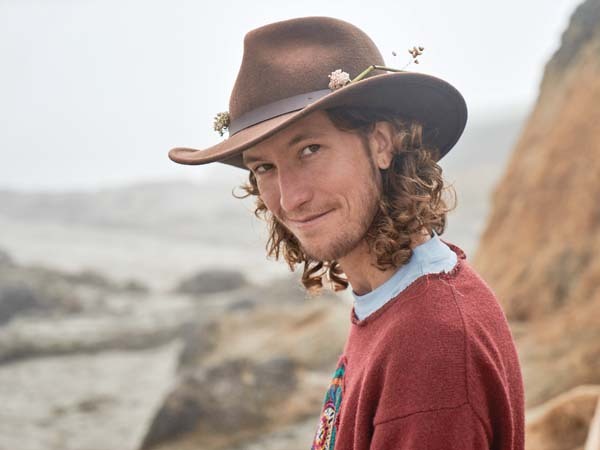 Tuesday: Kanoa; Adam Masterson; Josh Kahula. Wednesday: Kanoa; Nestor and Kale; Jarret. 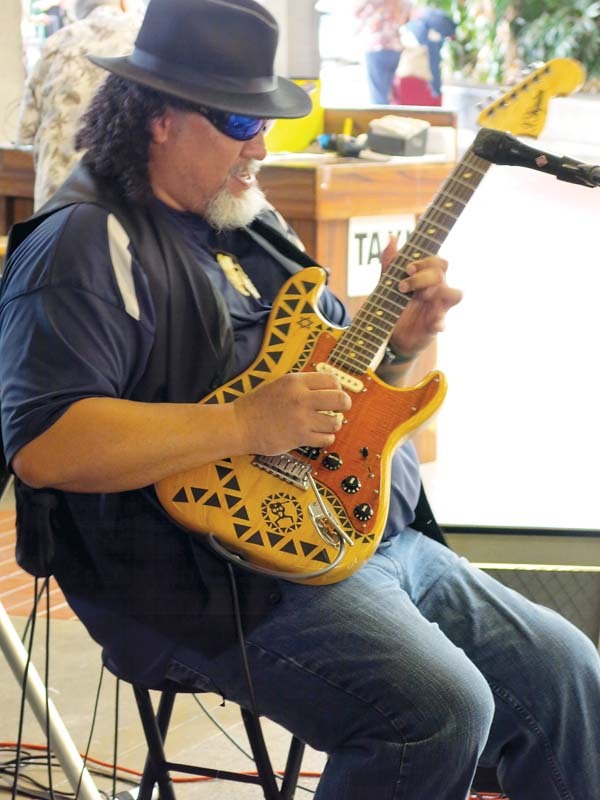 Sea House Restaurant: Thursday (tonight), Friday, Saturday and Wednesday: Fausto Allosada, 7 to 9 p.m. Sunday, Monday and Tuesday: Albert Kaina, 7 to 9 p.m. Aloha Pavilion: Wednesday: Multi Na Hoku Hanohano award winner Kawika Kahiapo, with George Kahumoku Jr., Peter DeAquino, Sterling Seaton, Wainani Kealoha. Doors open at 6:45 p.m.; show begins at 7:30 p.m.; and preshow dinner is at 5 p.m. at Sea House with show package available. Visit www.slackkeyshow.com or call 669-3858 for tickets. Thursday (tonight): Audacious Events, Agent/Shiny Objects, OM house night. Friday: DJ Gary O’Neal. Saturday: DJ Theron. Sunday: Deep House. Tuesday: Karaoke A Go Go. Wednesday: Sin Night with Andrew Dana. Music begins at 9 p.m.
Thursday (tonight) to Monday: Contemporary music. Tuesday: Derick Sebastian. Wednesday: Classic jazz, from 8 to 11 p.m. Daily: Hula with Hawaiian music, 5:30 to 7:30 p.m.
Thursday (tonight) to Saturday and Wednesday: Live entertainment, 8 to 11 p.m.
Thursday (tonight): Pat Simmons Jr., 6:30 to 8:30 p.m. Friday: Private event, closed to public. Saturday: Makai Jazz, 6:30 to 8:30 p.m. Sunday: Celtic Tigers, 7 to 10 p.m. Monday: Closed. 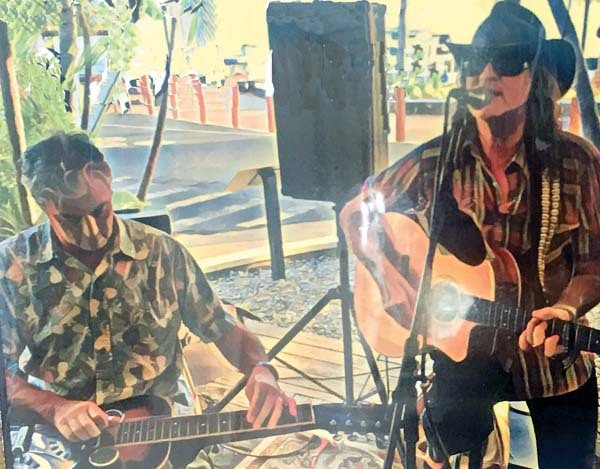 Tuesday: Mulligan’s Magic Show, 6:30 to 8:30 p.m. Wednesday: Joel Katz on steel guitar, 5:30 to 6:15 p.m.; Willie K, 6:30 to 8:30 p.m. Reservations required, call 250-8288. Friday to Sunday: Private event, closed to public. Thursday (tonight): Mark Johnstone & Friends, 6:30 p.m. Friday: DJ Blast, 10 p.m. ($10). 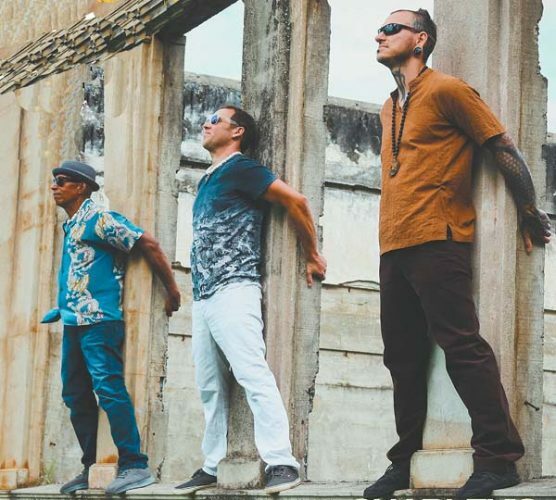 Saturday: Q103 and Judah Sound System Presents “Holiday Roots Rally” featuring Koko, Leylani, Koa Hewa, Bengali, King David, Rootz N Creation, 10 p.m. ($10); Monday: Charley’s Live Band Open Mic and Jam, 7 to 10 p.m. Tuesday: Matt Del Olmo and Orion Hitzig, 6:30 p.m. Wednesday: Randall Rospond, 6:30 p.m.
Saturday: Maui Blues and Company, 4 to 6 p.m. Sunday: Richard Dancil, Hawaiian Slack Key 2 to 5 p.m.
Thursday (tonight) and Saturday: Karaoke with Brant Quick, 9 p.m. to midnight, free. Friday: Sunburn, 8:30 to 11:30 p.m., $5.